“Truly I say to you, whoever says to this mountain, ‘Be taken up and cast into the sea,’ and does not doubt in his heart, but believes that what he says is going to happen, it will be granted him.” – Mark 11:23 (NIV). Faith. It’s a topic that we hear about often, but often struggle to live out in the real. It is the thing that calls us to trust when there seems to be no way. However, in spite of all of this, faith is the very essence of the Christian walk. I once heard a quote that said, “If you’re prayers aren’t impossible to you, they are insulting to God.“* Now, obviously God hears all prayers, ranging from the prayer of a seven year old girl in her bedroom to the prayer of an elderly man on his deathbed. However, there is something that I believe we, as believers, can take away from this quote. Too often, it is easy to keep our faith limited—boxed almost. Trusting God for some things, but hesitant to prayer about others. Somewhere deep down, we fear that we might just pray the prayer that is ‘too much’ for God to handle. However, as believers chasing after the very heart of God, I believe God is calling us to something more radical. Over the past year or so, God has been challenging me in my faith. As someone naturally prone to mini-panic-attacks about the future, God has been continuously leading me to live out the words of Philippians 4:6-7. “Do not be anxious about anything, but in every situation, by prayer and petition, with thanksgiving, present your requests to God. And the peace of God, which transcends all understanding, will guard your hearts and your minds in Christ Jesus.” (NIV). He has also been challenging me to lean more on Him (rather than myself. Proverbs 3:5-6 y’all!) and have more faith for seemingly impossible things. Faith that God could literally heal someone on the spot. Faith that some of the most far off places (e.g. college campuses) could have mass revivals and dedications to Jesus. Faith that the most lost people we know will come to a saving faith in Christ by our example and the example others. 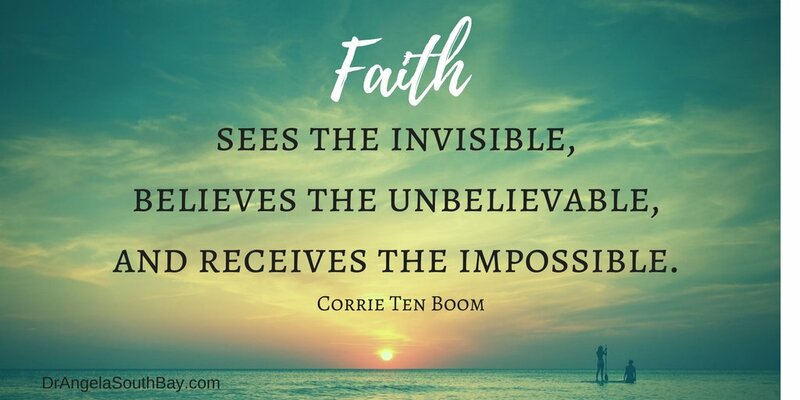 Hebrews 11:1 says, “Now faith is confidence in what we hope for and assurance about what we do not see.” (NIV). Furthermore, in Matthew 19:26 (NIV), it says, “Jesus looked at them and said, “With man this is impossible, but with God all things are possible.” (NIV). We serve a God who we cannot see, but whom we can trust. A God who has a track record of performing miracles—such as breathing the world into existence and rising from the dead on the third day. Who is in authority over all of the forces of nature, and has a power beyond what we can imagine, but who loves us infinitely—more than we can even imagine. As Christians, we serve a God who we believe in through faith—who calls us to an even greater faith as we grow and mature in our walk. This week, I want to challenge you to a greater faith. To a faith that truly believes God can move mountains—even the mountains in your life! I want to challenge you to have faith the size of a mustard seed (Matthew 17:20) and believe fully in God’s presence and power in your life. I want to challenge you to a faith for the impossible. *Just looked this quote up. It’s by Mark Batterson.